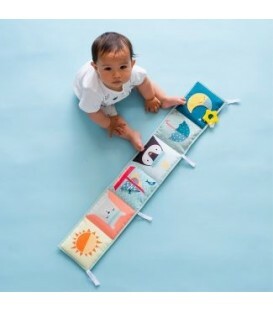 Soft baby book, with two sides for two developmental stages, to use in cot, pram and for tummy-time play. 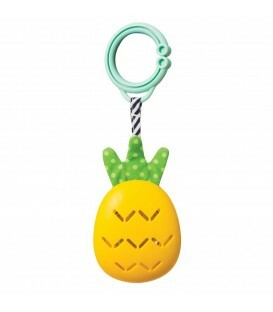 Colorful pineapple toy with cymbals sound, crinkling leaf and shiny fabric.Easily attaches to most prams, car seats and almost anywhere with a flexible plastic ring.Playing with the fun activity toy helps develop the baby's senses, motor skills and emotional intelligence. 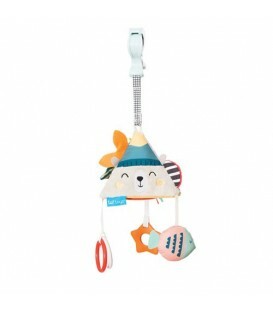 Chime bell sound. 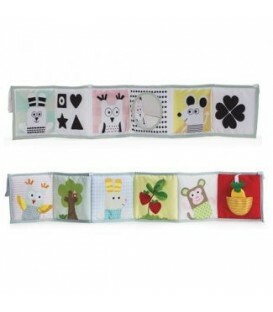 Numerous activities. 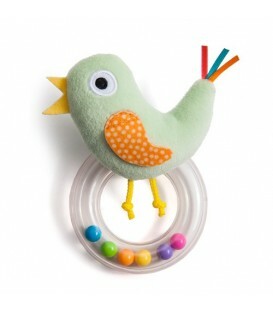 Surprising textures, illustrations and fun for use in crib, pram, or just about anywhereeasy-to-attach plastic ring. 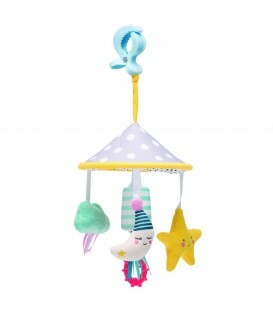 Size: 33cm/13"
For crib or floor play. 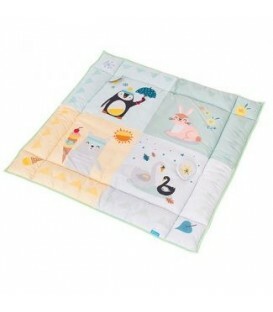 Nest - the extra padded play mat easily turns into baby's nest, specially designed for newborns. 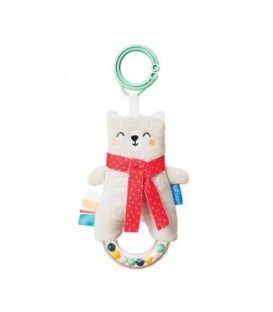 Can be placed in bed, on the sofa or just about anywhere. 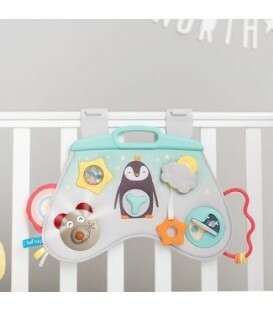 For two developmental stages: Stage 1: 0-3m - raised side panels create a safe and cozy environment for the baby. 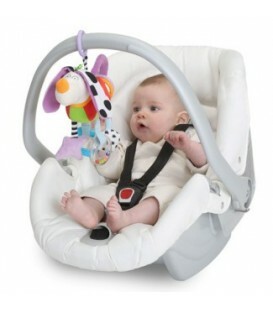 Stage 2: 3m+. 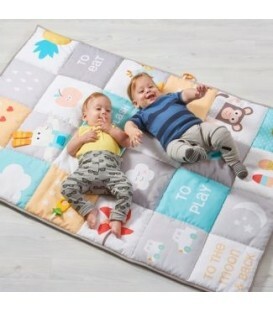 2 crinkling sides for 2 development stages includes: baby-safe mirror, crinkling shapes, 3D activities and textured fabrics. 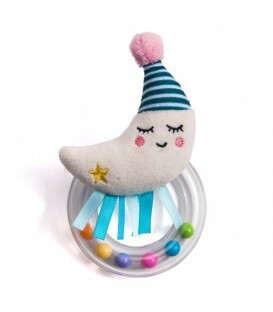 with a star teether toy and moon pouch. 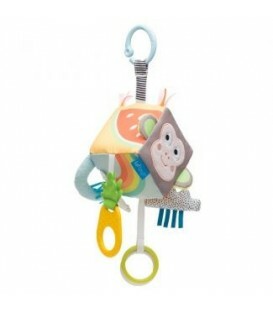 Soft activity toy with easy to grab clear ring rattle and colorful ribbons.Easily attaches with a flexible plastic ring.Playing with the fun activity toy helps develop the baby's senses, motor skills and emotional intelligence. 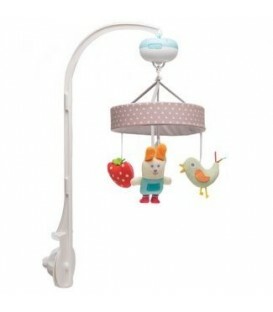 This item comes with sound sensor that re-activates music & light when baby awakes to soothe baby back to sleep. 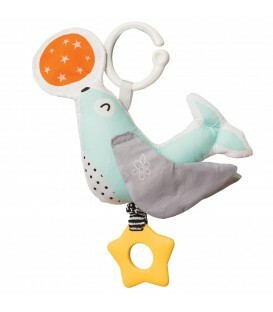 Soft activity toy with rattling sound, jittering teether crinkling legs and more.Easily attaches with a flexible plastic ring.Playing with the fun activity toy helps develop the baby's senses, motor skills and emotional intelligence.